Welcome to Mrs. Balasia's Class Page. Click on the bar above to find out information that is specific to your course. 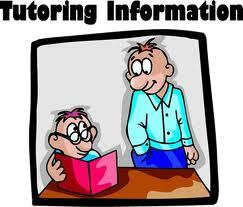 Free tutoring is available at the WMHS After-School Tutoring Lab. It is located in the Media Center on Wednesdays & Thursdays from 2:30-3:30pm. Another free online option is available through Wolverine Tutoring. Stop in the main office for more details. If the above options do not work into your schedule, I can be available for tutoring after-school. You would just have to arrange it with me ahead of time. Our counseling center has a list of private tutors that can help. Private tutors usually charge an hourly fee. Need extra help? Free tutoring is available. Stop in the main office for more details.